A series of disturbances tracking across the Middle East this week will spark heavy thunderstorms, threatening to bring flash flooding to the United Arab Emirates, Oman and Iran. Locally heavy thunderstorms will develop each of the next few days, causing normally dry rivers to swell with water and some roads to become impassable. 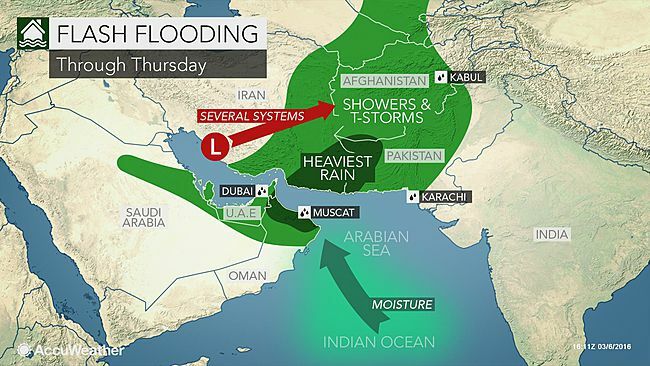 The greatest threat for flooding will stretch from eastern UAE and northern Oman into southeastern Iran.